Many real estate markets are starving for sellers, particularly in California. In January, home sales in the state fell for the sixth straight month, at least partially due to low inventory and the increasingly unaffordable prices that shortage has precipitated. Now, Real Estate Business Services Inc. (REBS), a subsidiary of the California Association of Realtors, is offering the association’s more than 165,000 members a tool that may help them dig up more seller business. REBS has signed a sales and marketing agreement with Benutech Inc., a company that offers real estate prospecting software tool ReboGateway. “We’re excited to offer ReboGateway as a business product available to CAR members and to provide them with a prospecting resource designed to help them secure more listings and increase their commissions in this tight inventory market,” said 2014 REBS Chair West De Young in a statement. REBS’ CAR Business Products store is designed to be a one-stop shop for the highest-quality products available for Realtors to maximize their business, according to the store’s website. “When we partner with a company, we screen and evaluate their product or service before deciding to offer it to our members to ensure they are getting the best products available,” CAR spokeswoman Lotus Lou told Inman News. CAR is the largest state Realtor association in the country. 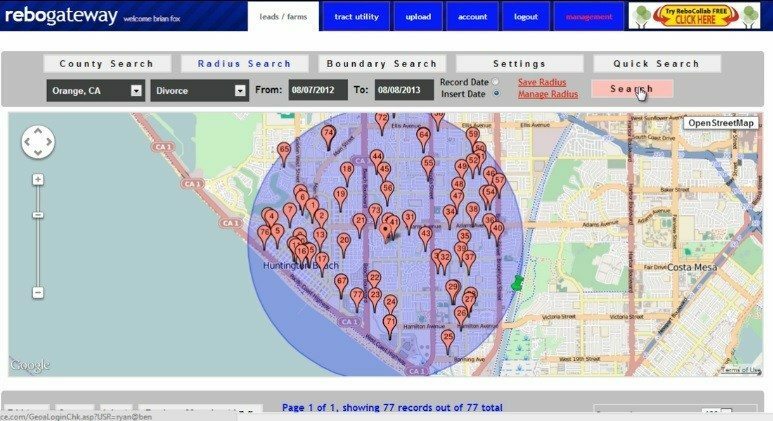 ReboGateway allows agents to focus their farming efforts on the homeowners most likely to sell their homes using data on certain public “life events” occurring at those homes. Within a defined geographic area, agents can filter homeowners and their properties by whether there’s been a divorce, a notice of default, a notice of sale, or a tax default on the home. The tool can also serve up expired listings, for-sale-by-owner (FSBO) properties, and the neighbors of homes that are just listed, just sold, or just sold outside of the local multiple listing service. Such neighbors may either know someone thinking of moving into the area — allowing the agent to potentially pick up a buyer client — or may be thinking of selling themselves, Benutech said in an introductory video on a website set up for CAR members. Other prospective sellers could include those who have gone through probate — heirs sell homes more often than not, according to Benutech — and landlords. In some states, ReboGateway provides eviction data in order to pinpoint frustrated landlords who may be ready to sell. In addition, agents can set up email alerts to receive notifications in real time whenever those life events happen in their farming area. 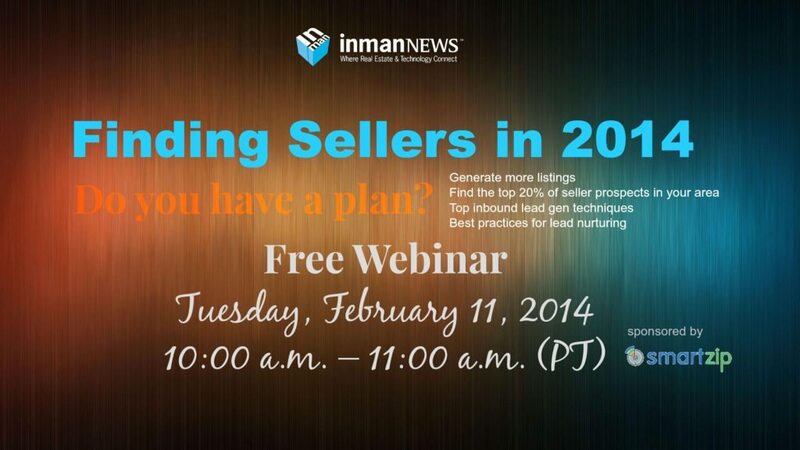 Agents can define lead searches by city, county and date range. Because the tool allows for more specific targeting, agents can choose to prospect in a larger geographic area than they would if they were sending out marketing materials en masse, according to Benutech. ReboGateway Premium, Benutech’s core service, costs $29.95 per month or $299.95 per year per county, and $14.94 more per month for each additional county. The company charges a $24.95 setup fee. As part of the agreement, CAR members will be offered periodic special promotions, such as a waiver of the setup fee, Lou said. “When we partner with a company, we’re able to negotiate better pricing because of the strength and size of our 165,000 members,” she said. ReboGateway fees for multiple listing services, Realtors associations and brokerages are significantly reduced and based upon the number of subscribers and provided on an individual quote basis, she added. When asked whether the agreement with Benutech involved revenue sharing, Lou declined to discuss specifics about financial aspects of the agreement. “What I can tell you is that everything CAR does in this respect goes back to benefit our members,” she said. ReboGateway does not currently integrate with other CAR member products. “Our initial focus is to introduce the service to members to help them begin targeting their marketing efforts and generate more listings. Opportunities to integrate with other CAR products, as appropriate, will be explored in the future,” Lou said. In addition to ReboGateway, Benutech also offers ReboCollab for paperless transaction management; TitleToolbox for farming searches; and ReboReports for fee education, training and current news, the company said. Irvine, Calif.-based Benutech was founded in 2010. Another California company, Pleasanton-based SmartZip Analytics Inc., also offers predictive marketing tools to help agents and brokers drum up sellers, including, most recently, geotargeted Facebook ads. SmartZip’s “SmartTargeting” platform analyzes more than 250 home, neighborhood, and owner and loan attributes and trends to identify prospective sellers.